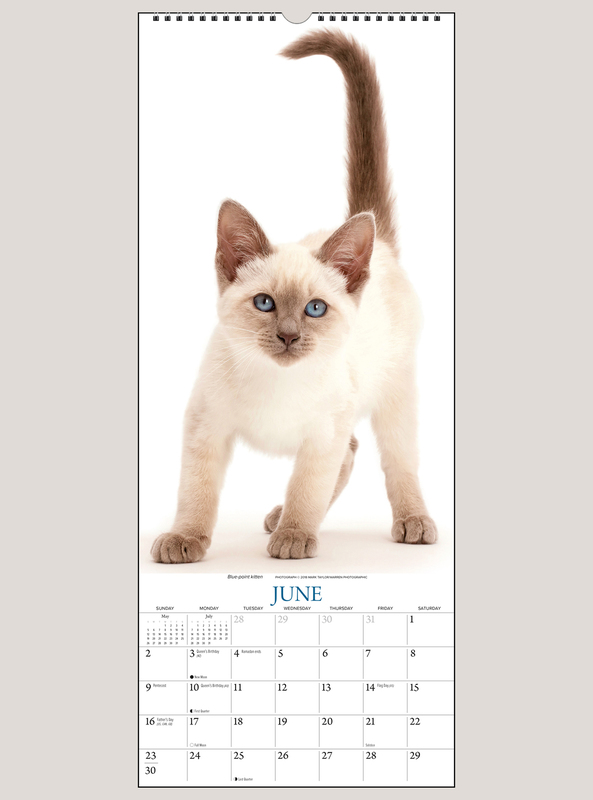 Beautiful, high-quality, and unique calendar that makes me smile every day. A must for cat lovers! 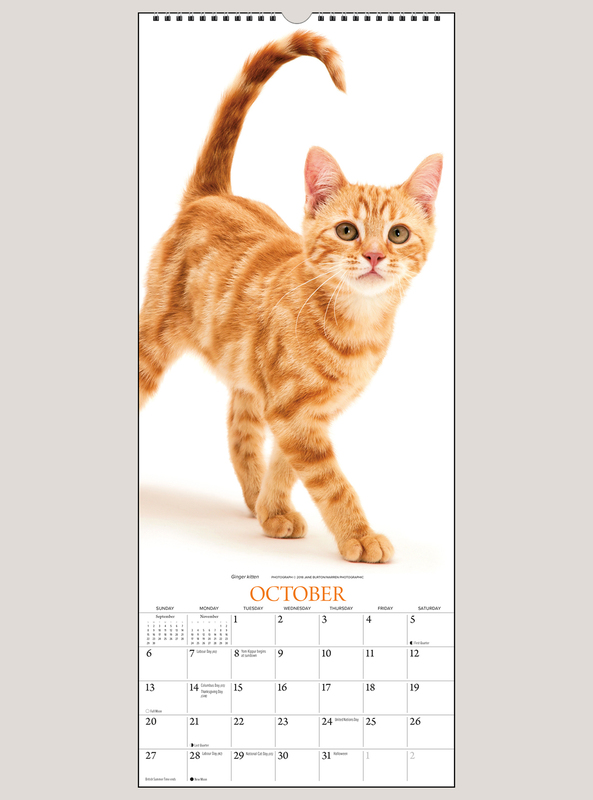 I've been ordering the tall narrow cat calendar ever since getting one as a Christmas gift several years ago. Love the size - it fits in so many places! The paper quality and the wonderful photos make it hard to throw away at the end of the year - so I don't . I have quite a collection of these wonderful photos. 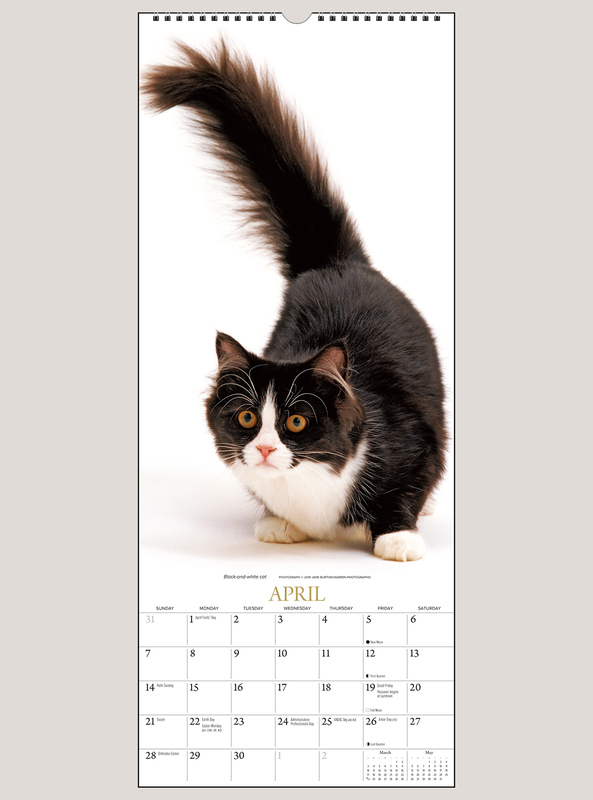 I've been getting these calendars for a relative for years. The pictures are wonderful. They always capture the personality of the cats, rather than simply being pretty fluff pieces. 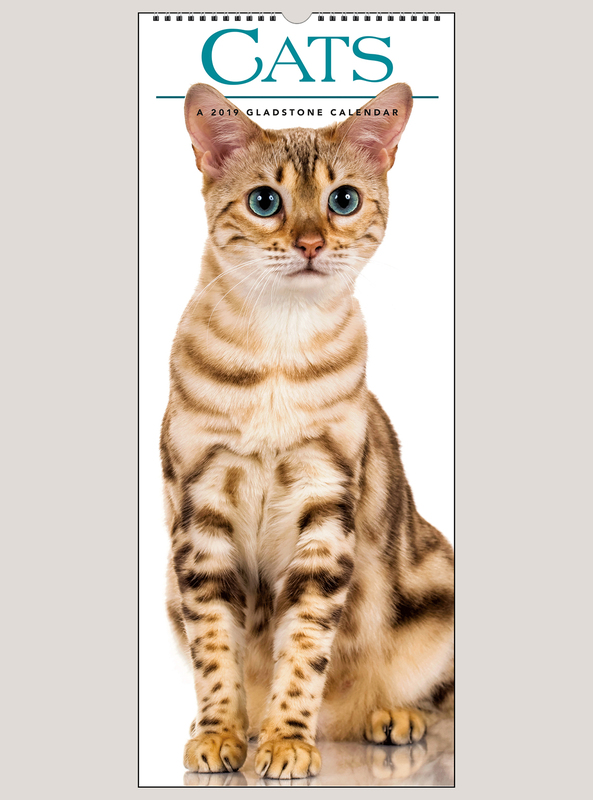 Also, the format is just perfect for hanging on the side of a cabinet or in some other tall, narrow space. 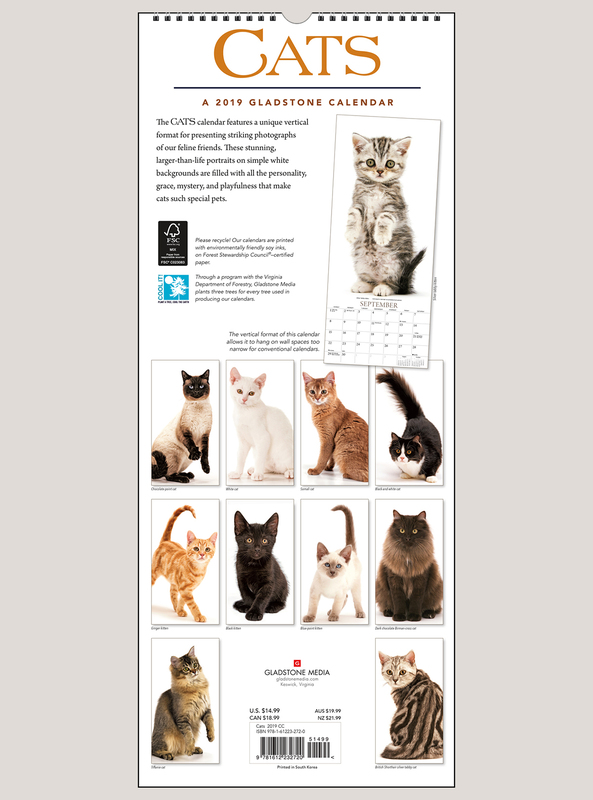 Like your other reviewers, I just love the tall cat calendar. I would be so disappointed if I had not been able to buy one for me and for my friend. I have pictures from previous calendars on cupboard doors and other places in my house and continue to enjoy them. I would also like to compliment you on the packaging. The calendars were so carefully packed that they arrived in perfect condition. Now,the cardboard is leaning against a china closet so the cats can hide and run through it. Thank you! I have had the cat calendar before and this year ordered one for myself and a friend. I like the format of the long calendar. It fits perfectly in so many places. And the pictures are wonderful!! I have been ordering your cat calendar every year for quite a few years. I have it on the wall in my office at work. 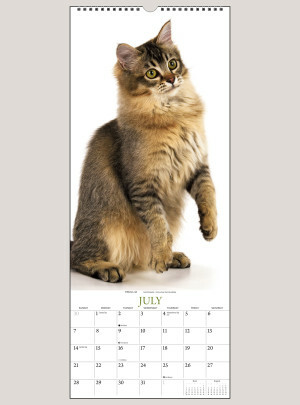 I and everyone I work with enjoy seeing the new cat each month. The photos are absolutely beautiful. Thanks so much. 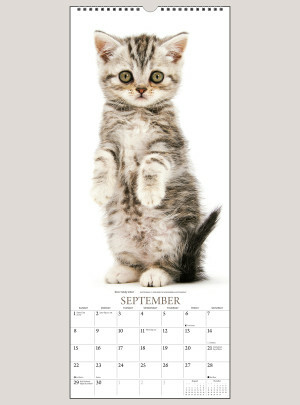 This is my third calendar. I love cats &amp; this one fits perfectly in the narrow end cabinet space I have. I smile every time I look at it!! Great photography! !